Many congratulations on your engagement!! For sure planning for a grand wedding must have started by now and the only would be to make it unique by all means, from your outfit to venue decor, from food to photography, from indoor to outdoor, from family to friends, from anything and everything, the only thought would be to make it great event for the lifetime to remember. And why not, the moment marriage date is fixed the first thought which comes in head is invitation cards. 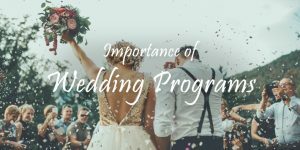 As we all know, wedding is once in a life time event for any couple, they want to leave no stone unturned to make it the best and memorable one. Well, you can choose any way to invite people the old one paper invitation, in which deciding or finalizing the design out of thousands of options seems a herculean task in itself, and then giving matter, first check then second check if any correction has to be done and finally you get the hard copy in your hands. So, like there is a list of tasks to be performed to have those cards finally in your hands and after wards starts the sending of invitation across all the relatives and invitees. More often than not, this process consumes nice amount of time, energy and efforts. Over and above, you may miss few to invite, it’s all just by mistake because the time was less and you got held up in something else, because there are thousands of things to undertake in a wedding. Then embarrassment start to set in later, even sorry to that person sometimes doesn’t mend things. Why don’t you try Digital Invitation on your wedding, a new and revolutionary trend? When everything is driven technically, why not your wedding invitation cards. And there is lot you can do to make them more and more attractive in your own ways. When it comes to wedding everybody has something already in store in back of their mind what they would want and how they would want. Now is the time when you can even design your wedding cards all by yourself. You have all the prerogative to select your wedding invite how so ever you want it to be, as part of a matching design collection or mix and match styles – it’s your choice absolutely. Well, you must have heard of digital invitations on various occasions, often people get confused with email wedding invitation or wedding e-cards, digital wedding invitations are absolutely different from the two. In Digital invitations, wedding invitations are made using a technique called digital printing. Often known as eVite. You will surely fall in love with this revolutionary trend of invitation. You get myriads of options to choose from, to make your big day super special. The best part in eVite is they can be customized and personalize. For that personal touch all you need to do is just put in all the details, you can also add your and your spouse to be photos along with a poem, or a short message, just in case you want to flaunt your love story to the world by the poem you wrote for your better-half, or open yourself to the world to let your spouse to be know how much you love her/him. You might wonder why should you go out of the way and choose digital wedding invitation, when the old paper cards are available in the market and your cousin also did the same, but believe you me it’s not your cousin’s wedding, it’s yours, and it should your way, how have your fancied it all your life…. Few reasons why should you do different, here is why…..
What else are you looking for, yes there are several impeccable designs and stunning templates you can find, once you start to search for one. You can choose or pick just any design or template and make it real for your wedding, there are several options from color to background, and you can have your digital wedding invitation card in any color combination of your choice, be it a matching or mix and match style whichever suits you best. You get a lot to experiment with digital wedding invitations and showcase your artistry to your guests and invitees. Also, preview option is available to ease your worry of how the entire card will look like, to see all your design and background there and then, you don’t have to wait for long. If any alteration has to be done that can also be done on the spot. You can always customize your digital wedding invitation card and give them that pizzazz and flair to suit your style from images to elegantly stylish fonts, background to color combination, everything and anything matching your style statement. As you get several options to work with, different stylish fonts, varied of color combinations, numerous background options in the library online. Your guest will surely admire your artistry for that matter. What else one would want in his/her wedding other than a budget friendly invitations cards. We all know how much those old patterned invitations cards costs to one, one has to pay a hefty amount for that and if the guest list is huge then those courier charges and what not for that matter, you know what I mean. 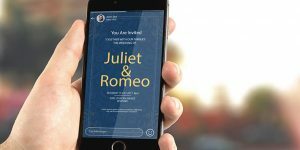 But, digital wedding invitations also referred as evites in tech terms are really, really inexpensive, sophisticated and unique way of invite and most importantly, very much in your budget and affordable for you. Yours might be a love marriage, or maybe you met in some solo trip, or may be on a hike or on a trek, these digital wedding invites are the perfect way to let everyone know the story of your life which you call your love story, in a better and unique way, most of all your way. 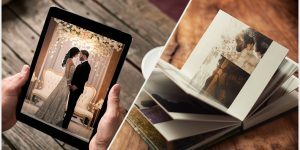 You will also cherish the idea of going digital on your wedding throughout your life, even your generations to come will also admire the whole idea. You can always have your own words to express your personality through digital card on your wedding. You can write more than a mantra in your digital wedding cards now. Whatever you feel like about your wedding from a short message to a long poem, traditional or non-traditional, you can express it all your story in your digital wedding invitation and let everyone know how happy, grateful you are to find your spouse to be for the rest of your life. After all its your wedding and it should happen all your way by all means. There are several video wedding templates online, with which you can make a video wedding invitation, sharing your love story in the video along with the pictures of yours, and your spouse-to-be with some romantic background music. Isn’t this idea intriguing?? I am sure you will like the entire idea and would want to go with it as it is your wedding, and you want it your best, am I right?? With this super technology of sending digital wedding invitation cards you not only save your time energy and efforts but also have a lasting impression among your nearest and dearest. Your invitation will leave an ever lasting impression on your guests they will be enthralled to see it. You might have a huge list of wedding guests, most of them are overseas or may be in different towns or are faraway guests and the time to send invites is less, you wonder whether they will receive it or not. So, best is to go digital. It will not only save the money which you will spend in sending physical cards as well as you are not sure they will receive on time or not but also, the time running across these courier services will be saved which you can utilize in some other task related to your wedding. And digital invitation cards will take less time than you think it will. Digital wedding invites are a great choice for couples who are tech savvy and especially working on a tight schedule, also for the one who are on a tight budget. 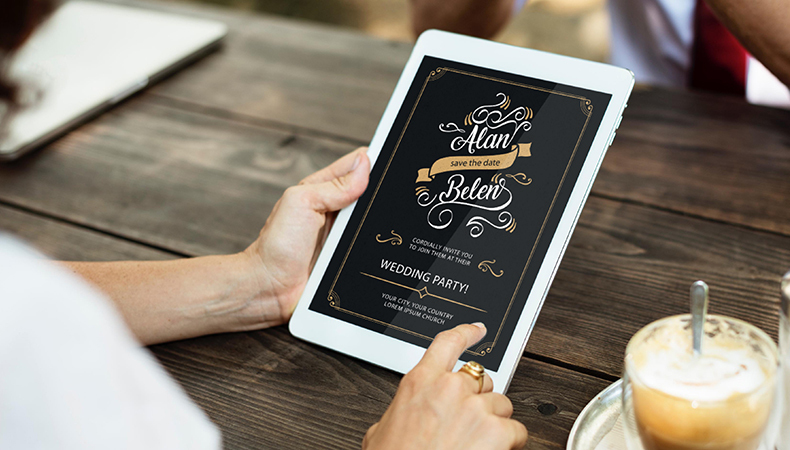 Go digital, nothing can replace an enchanting invitation in your guests hands. Great idea to spend money in budget, not over-spending on things which can be taken care otherwise also. Also, the impression of digital wedding invites will be lasting on your guests, they will like it undoubtedly. When everything is digitized, why not your wedding invites then. Well, you can either do it yourself or go with some company doing digital wedding invitation cards. For your information there are several wedding planners who take care of your invitation part also. If you are planning to hire some wedding planner for your big day you can surely ask about the digital wedding invitation cards, it will ease your burden and you can have time to do much more other things in your wedding. It is a company which help people to connect in real life. It’s a name in digital industry, they offer range of services in digital invitation cards from a birthday to a wedding. All of their products are designed, developed, and deployed in-­house. They offer customized services making sure everything is scaled quickly and smartly. They have a very best team which strive to give the best to the clients. 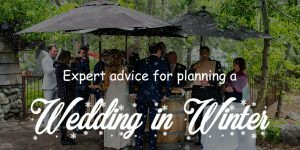 Weddingwire is a company that specializes in creating modern, digital wedding cards and invitations for nuptials and other special events. The entire business is led by a group of entrepreneurs, people here are committed to creating products and making lives digital in the ear of technology. They are the pioneers in providing digital card concepts in India. Why should you choose a company? If you want to have enough time for yourself and want to skip the hassle of getting involved in the designing or printing of your wedding cards, you should surely go for a company to take care of your invitations as well. As they are professionals and they know their work well. This way you can be stress- free which is required for having beautiful candid pictures of yours on your wedding for sure. 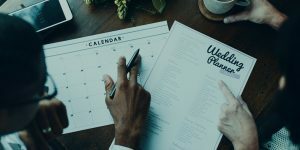 Moreover, the investment of time, effort and money, along with the risk and stress of your invitations go awry is actually not worth the money you will save by doing it yourself. Notwithstanding, you can very much try this DIY style for your digital wedding invitation cards but you may get frustrated at some points, may be because you may not get exactly what you want or because some other reason whatever, for sure you need to know the nitty-gritty of that first, also, you need to know the tad technicalities to get that perfect piece which you can call your wedding card how your dreamt it forever. Less work for you, as all your work is taken care by the company’s staff dedicated for this work. As they are professional they can get you the best understanding your need and expectations. Sometimes what you get exceeds your expectation. You will get one complete quote, there will be no splitting costs afterwards. Their shipping is always free and secure you need to worry about it. Designers really work hard to create wedding invitation cards that are original, diverse and most of all customized based on your needs. If you want to print few of digital cards, they will take care of that too. Professional designers will always be there to guide you, advice you and give you best of the suggestions to bring that freshness in your digital wedding invitation card. Online customer support and satisfaction guarantee is always ensured. Value for money, your guest will be enthralled upon receiving the digital wedding invitation cards and the level of satisfaction you will get will be worth going for the professionals. All in all, digital weddings invitations card is a smart, savvy way for the couples who are always tight in schedule and struggling to get enough time for making arrangements for their wedding. Online you can get various options to go for beautiful, quality invitations along with the support independent which professional provides you at the same time. You’ll love digital wedding invitations as well as you’re your guest will also not miss to compliment you for such beautifully created artistic piece for your wedding. Sending personalized digital wedding invitation will add to overall event. A wide range of colorful digital wedding invitations are available these days, which can make your wedding exceptional. In the era of technology, everybody is a going digital. When it comes to wedding, off course once in a life time event to be cherished forever, why to leave your invites simple or old fashioned. Do it your way, the way you have always fancied it all through your life. No wonder Digital Wedding Invitations look so adorable and fanciful. You can find your perfect digital wedding invitations card that looks hugely entrancing without breaking the bank.